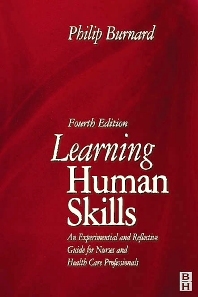 Learning Human Skills has become a standard text for teaching and learning effective interpersonal, counselling and group skills at both student and practitioner levels. It has also proved to be of great value to many nurse educators in the expanding higher education sector. The book's particular focus is on the practical aspects and demonstrates how personal human experience can be used to enhance the therapeutic process in nursing.